"You are awesome! I found my missing pin in dense woods near dusk in 5 min. I've been looking for this pin for 2 years. Thank you so much." 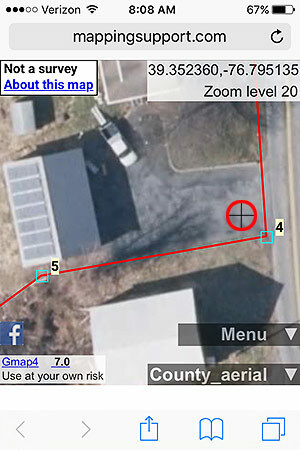 Use your cell phone with geolocation or a GPS (Garmin, etc) to find approximate property lines and corners. 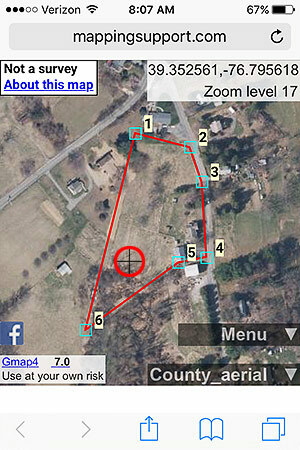 We supply the most accurate GPS coordinates possible without hiring a surveyor. 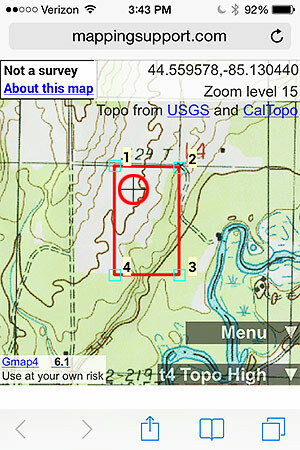 Below are 3 cell phone screenshots and example links to 'live' maps. See 'live' maps for the above screenshots. Use back arrow after viewing. © Copyright by Joseph Elfelt. All Rights Reserved.